The self-proclaimed “Purple Unicorn” name-dropped this popular brand at the MIA Festival. 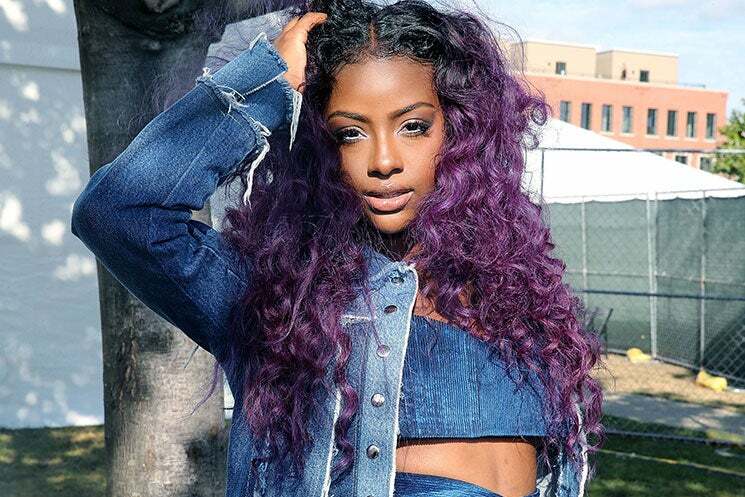 If you’re waiting on Justine Skye to switch up her hair color again, you’ll be waiting a very long time. The self-proclaimed “Purple Unicorn” is fiercely dedicated to rocking violet and avoiding bleach damage at all costs. And thanks to years of walking red carpets and performing onstage, her beauty arsenal is well-stocked to avert all beauty emergencies. We ran into the Roc Nation signee this past weekend at the Made In America Festival, where she revealed her secret weapon for maintaining healthy locks: Dark and Lovely’s Super Softening Hair Butter. And because “the look” includes an equally fabulous makeup regimen, Skye also cites “baking,” a technique that allows heat from the face to naturally set base makeup, as a go-to method for making her melanin pop. We can’t wait to see Skye flaunt her purple crown at New York Fashion Week! Check out some of her hottest Instagram beauty moments below.